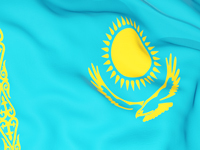 This International School in Kazakhstan is looking for a talented and committed Biology Teacher. This international School in Kazakhstan offers a superb, modern, well-resourced learning environment for students and staffs. It has a highly positive ethos and a supportive, enthusiastic staff team. Kazakhstan is Central Asia’s undisputed economic powerhouse and Almaty is the business hub of the region. The Almaty Financial District, which is taking shape in the south of the city, reflects its ambition to be a significant player in Asia. More top of the range 5-star hotels are opening their doors, and Almaty is home to many multinational companies. While there are a lot of opportunities for work in the oil and gas industry, Kazakhstan is keen to develop other spheres in order to avoid over-reliance on its mineral wealth. Key areas include tourism, finance, and the service industry. To achieve this diversification, the country is keen to attract foreign expertise. There are openings in the numerous universities, private language schools, and international schools. Native-speaker teachers are in short supply so even newly qualified teachers should have no trouble finding work. Demand for foreign languages is high and there are many openings for EFL teachers. The people in Kazakhstan are a sociable lot–they need no excuse for a party. Almaty and Astana have a number of swanky bars and cafes which open around the clock. Tastes are very cosmopolitan these days and you can choose from Kazakh, Russian, Turkish, Chinese, Italian, Lebanese, Thai, and Georgian. Kazakh food is very meat-based. Ethnic Kazakhs were traditionally nomadic roaming the steppe with their livestock; vegetables were hard to come by so horsemeat, camel meat and mutton made up the bulk of the nomad’s diet. Kazy, horsemeat sausage, remains a favorite and the national dish is besbarmak, consisting of meat and strips of pasta with the broth drunk separately. The name means “five fingers” and refers to the way the dish was traditionally eaten. Kumis, a mildly alcoholic drink of fermented mare's milk, is a traditional tipple, but nowadays beer, vodka, and wine are just as likely to be drunk with a meal. You will never be short of things to do and see in Kazakhstan. Almaty has the Zailisky Alatau mountain range on its doorstep which offers winter sports such as skiing and snowboarding at the resort of Shymbulak and outdoor ice-skating at Medeu stadium. These mountains are also great in the summer months for trekking and climbing. The nearby Kapshagay reservoir has sandy beaches and safe swimming. It has been chosen as the site for the Kazakh version of Las Vegas as the casinos are moved out of the main cities. Five hours’ drive from Almaty is Sharyn Canyon, which rivals the Grand Canyon in its beauty, and the singing sand dunes in the Altyn-Emel national park are an unusual attraction. In winter, Astana has an ice town where you can speed down ice slides and see the Taj Mahal, Big Ben, the Eiffel Tower or the Acropolis, all constructed from blocks of ice. A few hours, drive from Astana is the picturesque Lake Burabay, which is surrounded by dense forest and has unusual rock formations. Another nearby lake, Tengiz, has the world’s most northerly colony of pink flamingos. This school on a journey to outstanding, this school boasts a strong track record of innovation, engaged students, a supportive and driven leadership team and excellent benefits to its staff. If you are a dynamic, adaptable and compassionate individual looking to further your career as a Science Teacher please apply immediately. In return, you will receive a competitive salary plus excellent benefits. Contact Vicky on VL@SeekTeachers.com for more details. As the Science Teacher you will be responsible for developing and improving the skills of the students within the school, whilst encouraging positive learning and rewarding pupils for good behaviour. Managing the resources for the classroom and planning your lessons creatively will ensure pupils meet the curriculum and reach their maximum potential. You will be part of a strong dedicated team committed to providing our students with the very best outcomes through academic. A committed teacher, who will want to attain the highest standards in teaching and learning throughout their role. VERY HIGH Competitive TAX FREE salary in line with market conditions and experience.